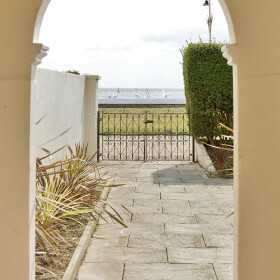 Look up from your balcony croissants and coffee and watch the boats bob between the blue of the sea and sky. The waves are just an excited dash away across the green grass. 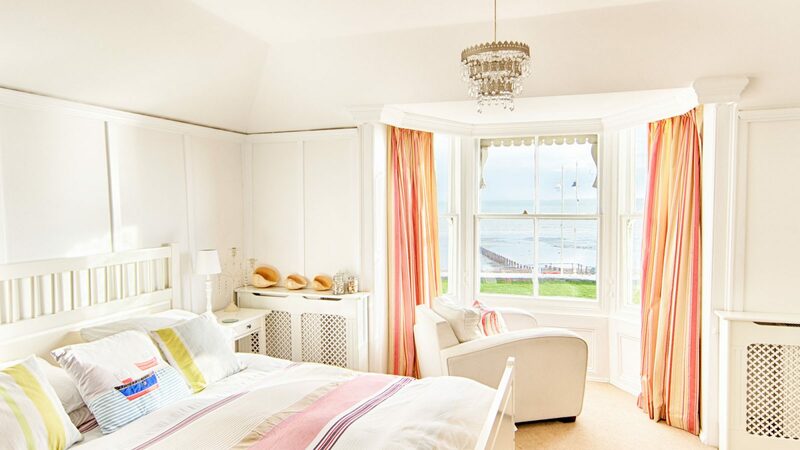 Sussex’s Beach Front House is as refreshing as a splash of seaspray. From the bedroom balcony, just above your croissants and coffee, watch the boats bob between the blue of the sea and sky. 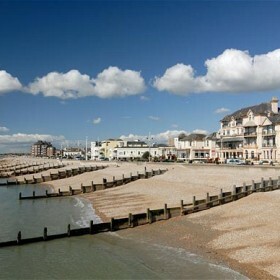 Just an excited sprint over the green grass and you’re on the beach at Bognor. 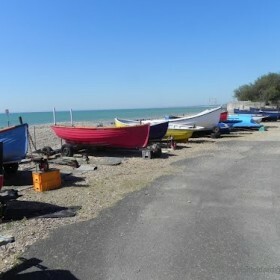 Perfect for buckets and spades, paddling and catching waves. Cook the catch of the day on the barbie out front. Make a family dinner an event hosted around the huge table. 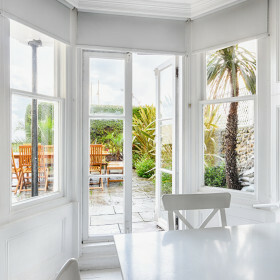 Fling open the French doors to the secluded back garden. Watch the kids play on the green beneath the wheeling gulls and big skies. 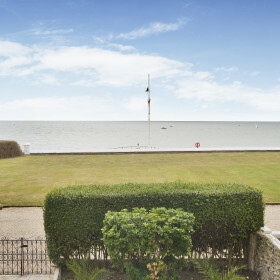 On sunny days, it’s a race to the bucket-and-spade beach. 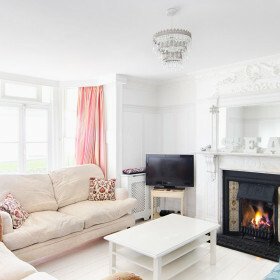 If the clouds part, the big TV can serve up family flicks, and the huge spaces and open fires are built for bookworms. In the evening, the bedroom balcony is the place to toast the ochre sunset. In the massive kitchen, it’s all hands on deck around the range to cook up a seastorm. 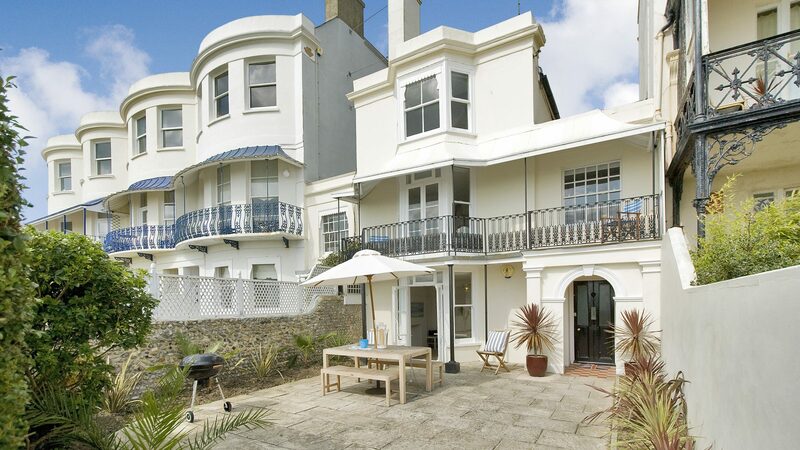 Eat al fresco, out front, against the sigh of the breeze and the crash of the waves. You might never be a landlubber again. 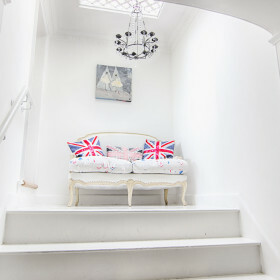 Wander out through the French doors into the secluded back garden. 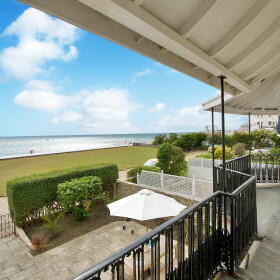 Fire up the barbie and throw on the catch of the day, and once its cooked just sit back, relax and enjoy seaside living at the Beachfront House. 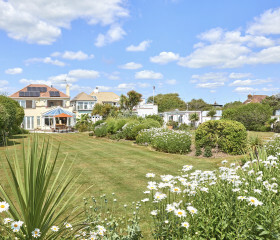 You are treated to not one but two gardens at the Beachfront House. 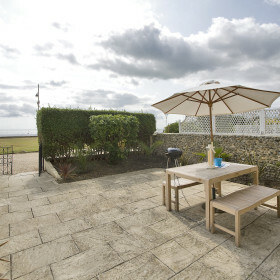 You have the private garden to the back of the house but also your very own garden terrace to the front of the house overlooking the beach, and the views out across the ocean are simply stunning. 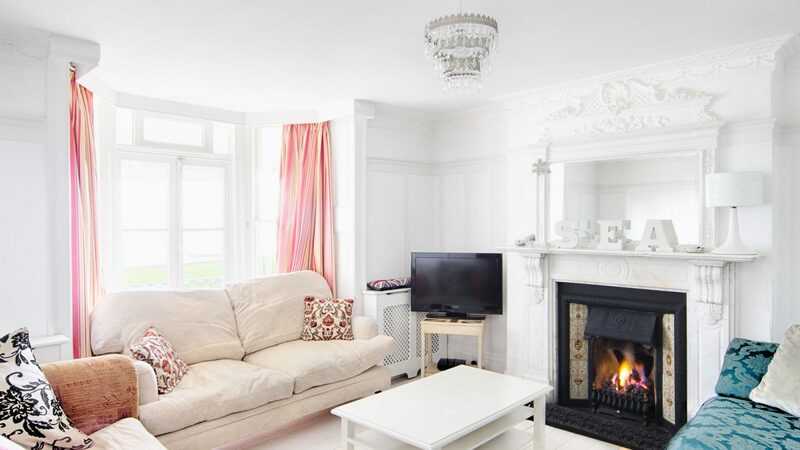 The living room at Beachfront House is perfectly positioned on the first floor, to really make the most of the incredible coastal views. 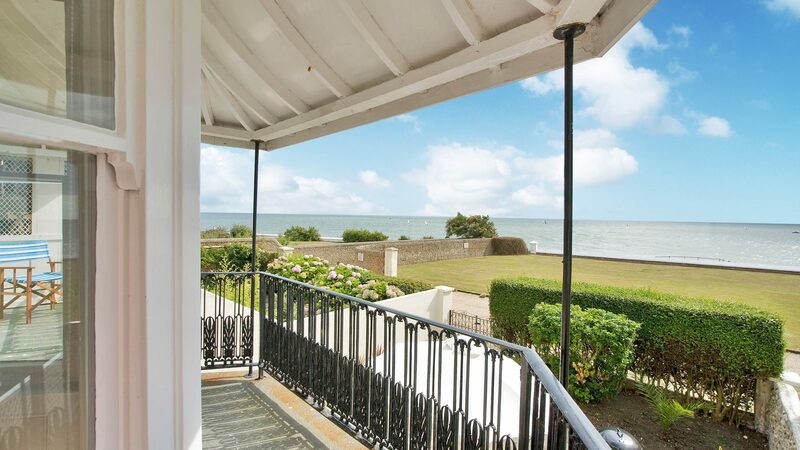 There are also French doors leading out to a balcony, perfect for al fresco breakfasts in the early morning sun or a glass of wine or two as the sun sets over the beach. 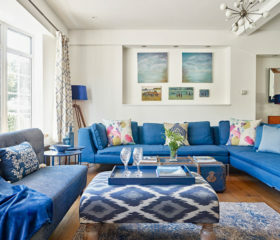 The living room is great for movies on a rainy day with a large flat screen TV, or for watching the big game if you can’t tear yourself away from the action for the weekend. 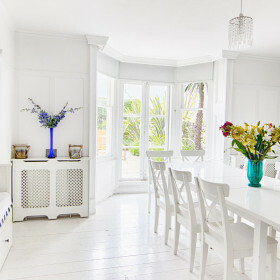 The dining room is a large and light room, with a huge dining table to seat everyone together for a lovely family dinner. 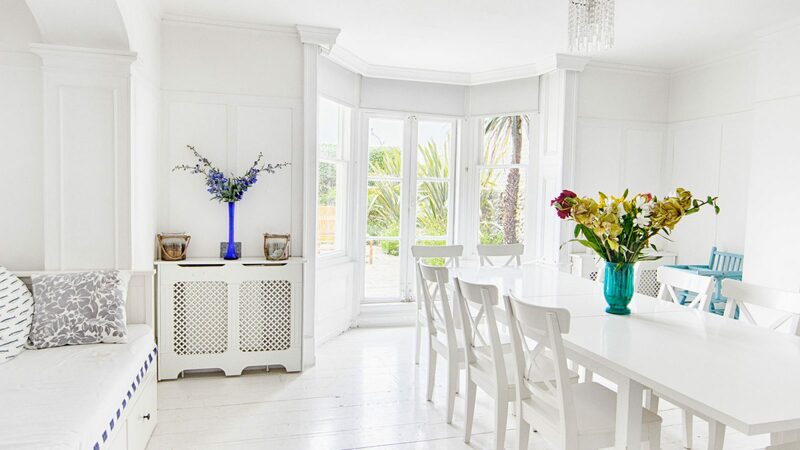 To really make the most of your location the dining room is complete with French doors leading out into the gardens, so you can still get that sea breeze while enjoying your meal. 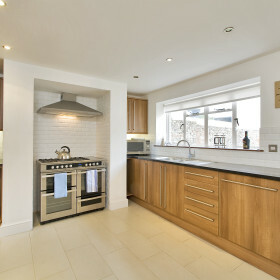 The kitchen is well equipped with a gas range oven, feel free to cook up a storm. 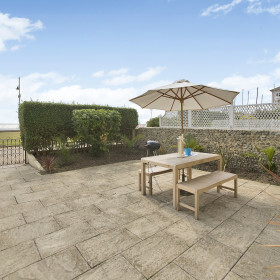 There is a BBQ in the garden with terrace furniture for al fresco dining in the summer months, you’ll feel like your barbecuing on the beach but still have the luxuries of home. We’ve also top-class chefs available to create and serve a special three-course dinner, drop off ready meals when you arrive, or serve a classic brunch on Sunday morning. 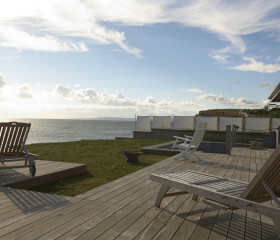 Or book a chef for the week and relax. 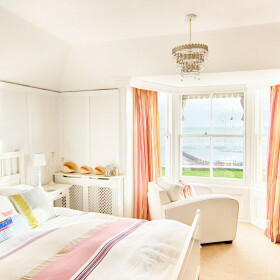 On the first floor there is a large double bedroom, looking out across the sea. 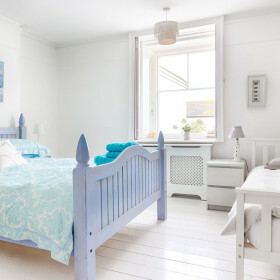 There are two further twin bedrooms on the first floor, one of which has an additional guest bed if required. 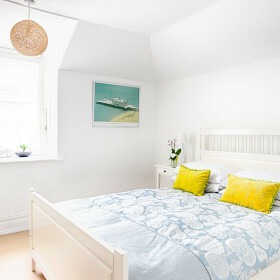 These three bedrooms share a large family bathroom. 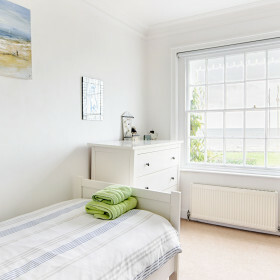 There are an additional two double bedrooms on the second floor with a shared family bathroom. Both benefiting from those incredible views. 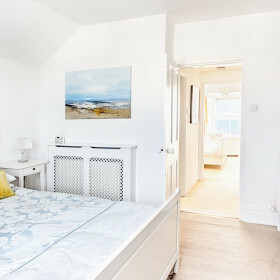 There is a single bed available in the large dining room on the ground floor, with an option guest bed, so the whole family can fit in together. 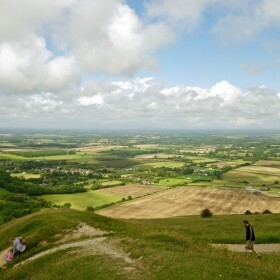 Walk, cycle or ride the South Downs; sail, swim or fish. Your shrimp-net beach is just a saltsplash away. 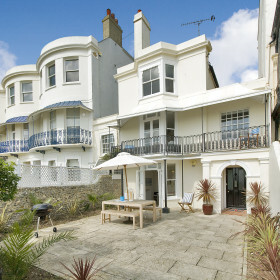 Play the penny falls on the prom; discover history and heritage. 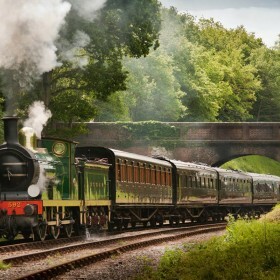 Back a nag at Goodwood; ride the Bluebell Railway; clear your head in the ocean air.